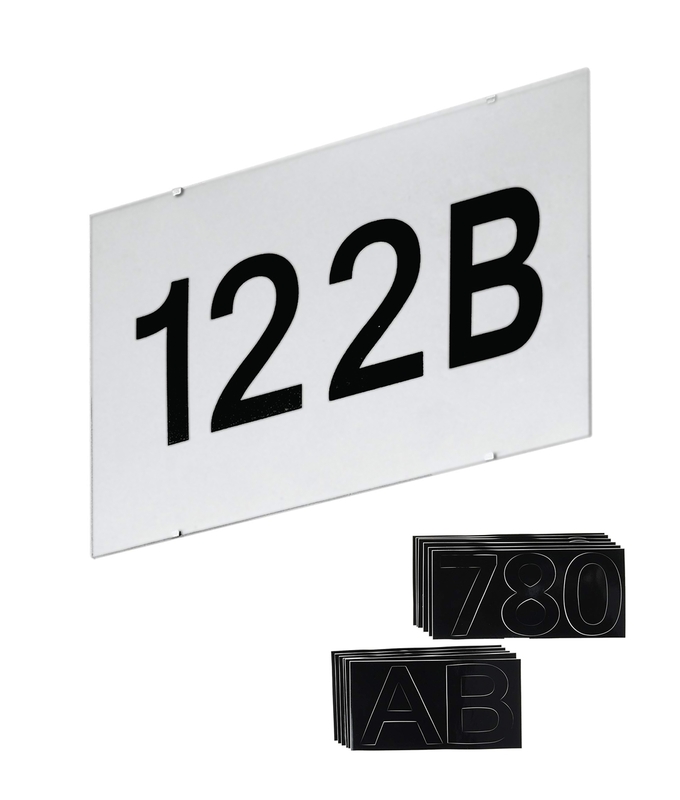 An acrylic house number plaque for use with this product Low Glare Exterior Wall Light if you wish to illuminate the number. Comprised of a grey backplate which sits flush to the wall with a clear front designed to form a weatherproof seal to protect the numbers inside. A great solution if visitors have trouble locating your house in the dark. If you do not wish to use the recommended light you can of course buy just the number plaque. There is a metal bracket along the plate.